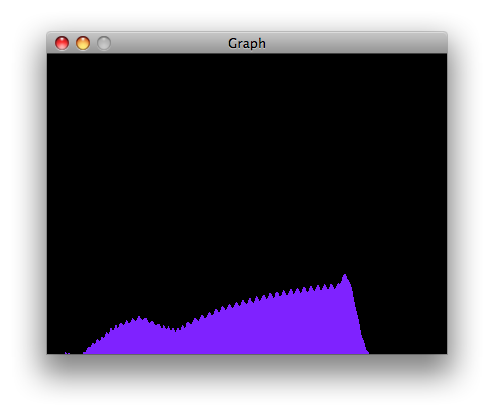 This example shows you how to send a byte of data from the Arduino or Genuino to a personal computer and graph the result. This is called serial communication because the connection appears to both the board and the computer as a serial port, even though it may actually use a USB cable, a serial to USB and a USB to serial converter. 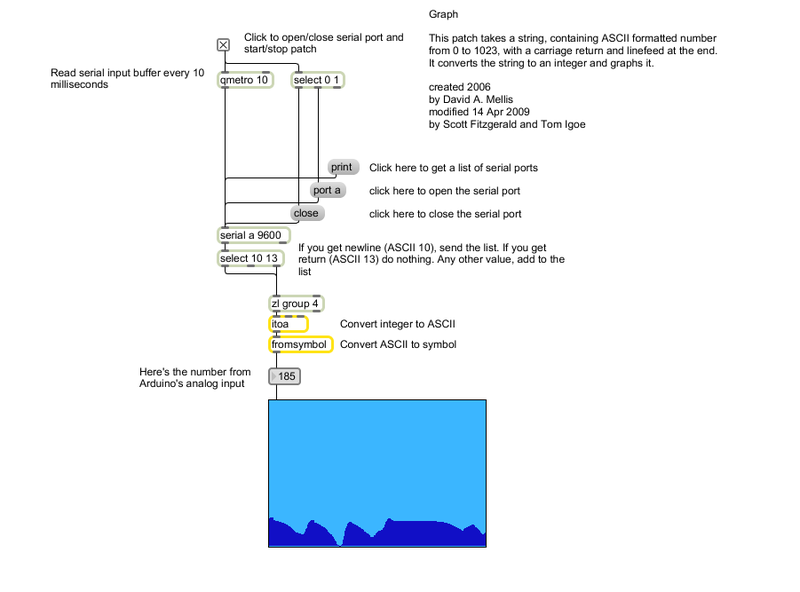 You can use the serial monitor of the Arduino Software (IDE) to view the sent data, or it can be read by Processing (see code below), Flash, PD, Max/MSP, etc. 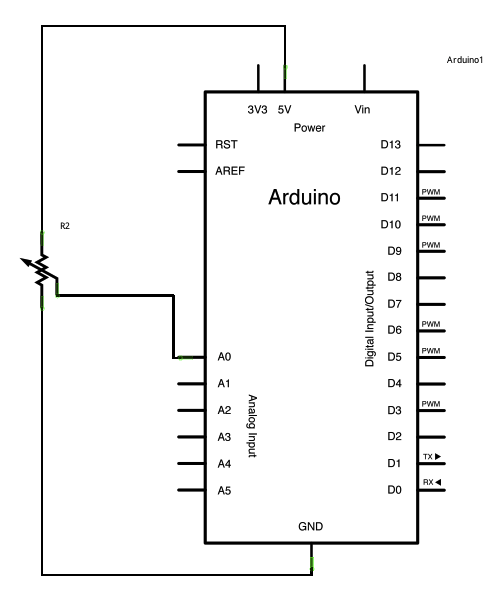 Connect a potentiometer or other analog sensor to analog input 0.
value of analog input 0 is sent out the serial port. We call this "serial"
are sent one after another (serially) from the Arduino to the computer. can see the value of the analog input changing over time. 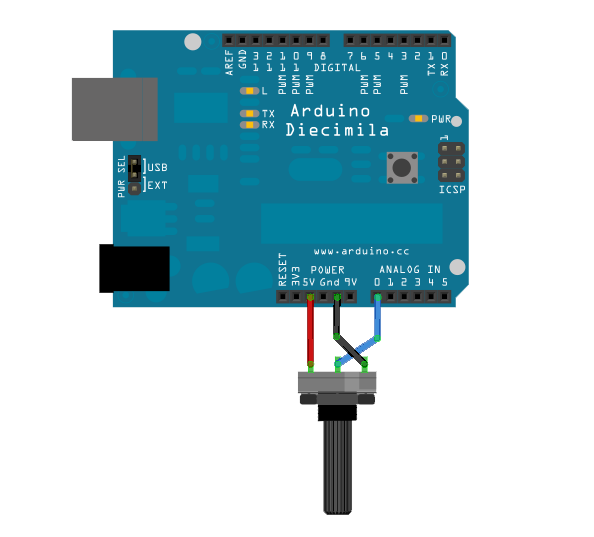 // Arduino, so I open Serial.list(). The max patch looks like this. The text of the patch is in the code sample above. Copy the text and paste it into a new Max window to see the sketch.